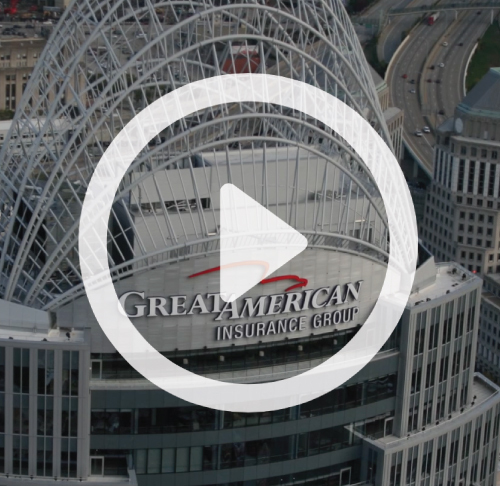 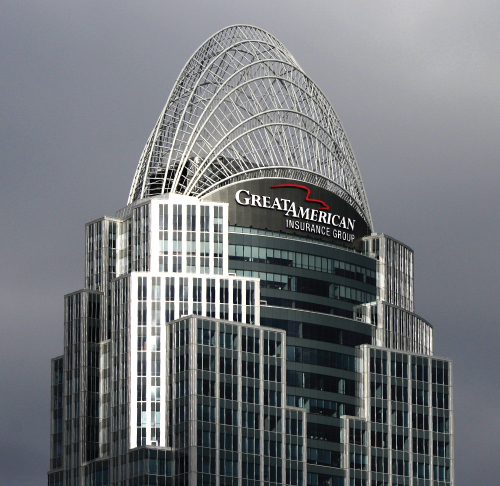 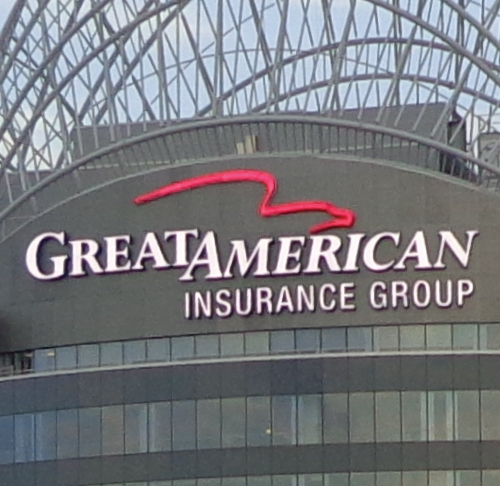 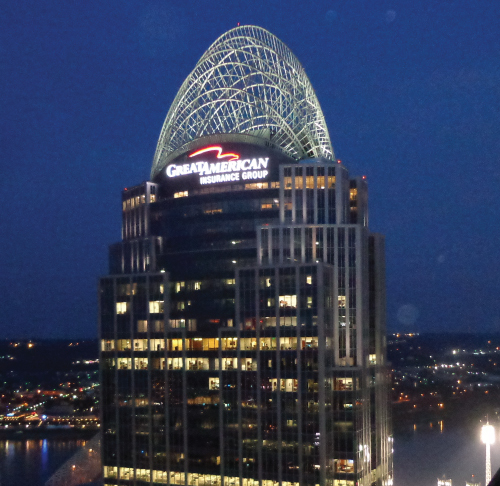 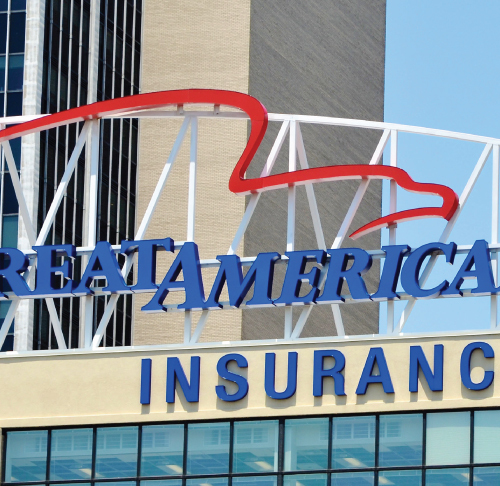 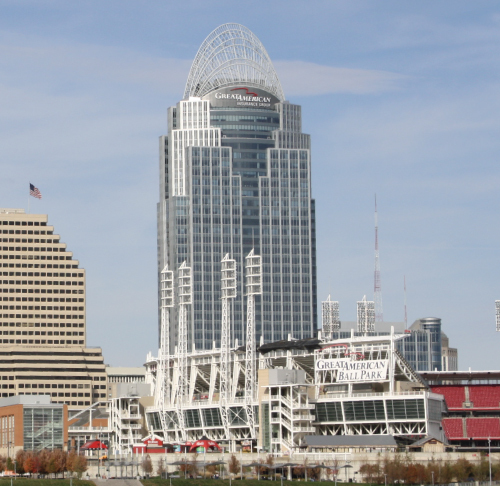 The tallest building in Cincinnati, the Great American Insurance Tower is the city’s crown. 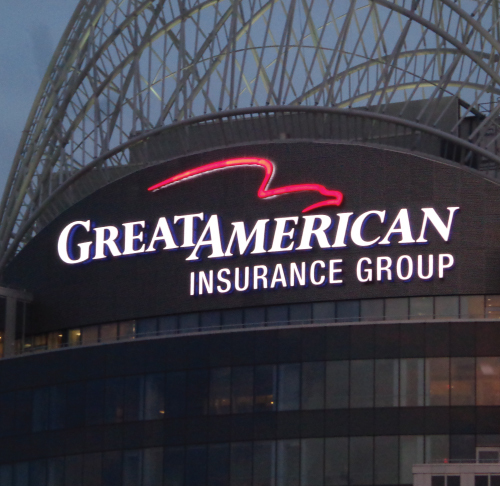 Similar to signs we designed, built and installed for the Great American Ballpark, this identity sign is 86 feet wide and 26 feet tall. 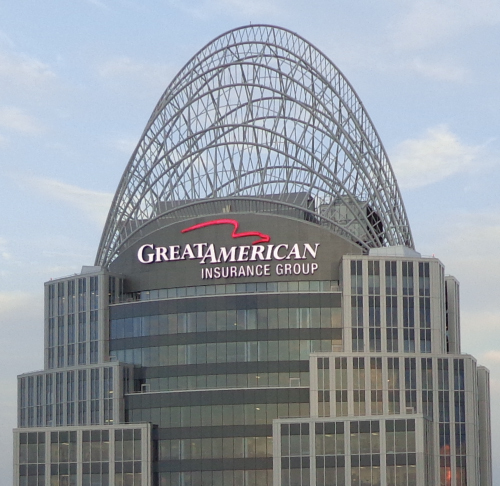 It stands 500 feet above the street. 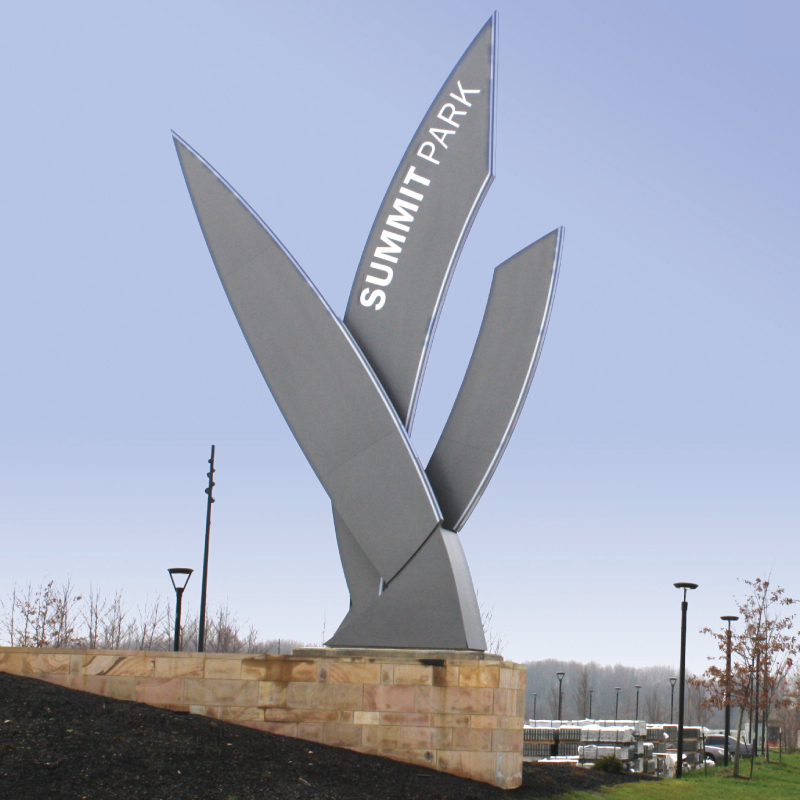 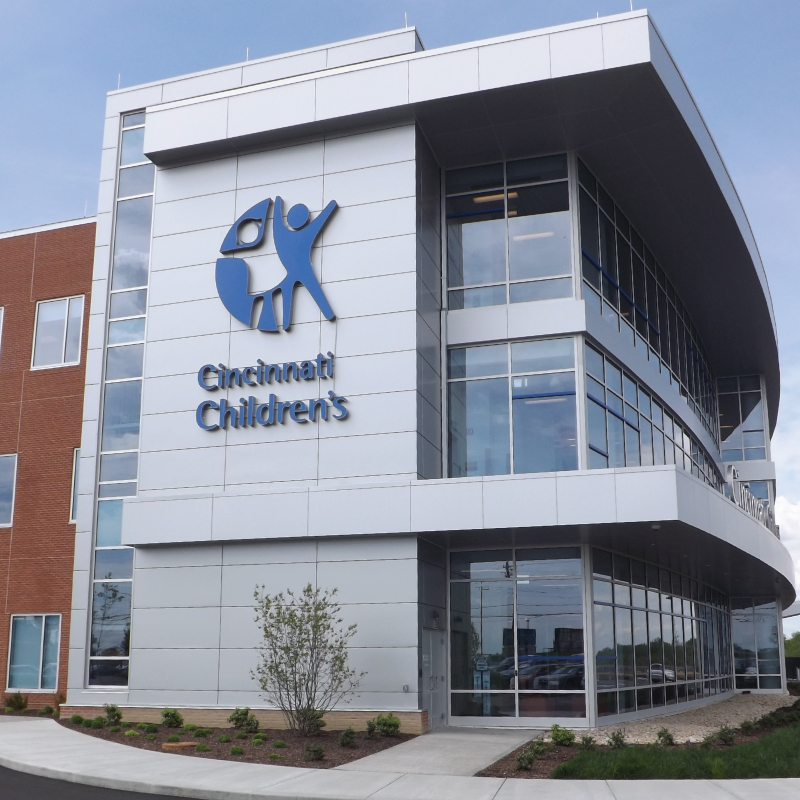 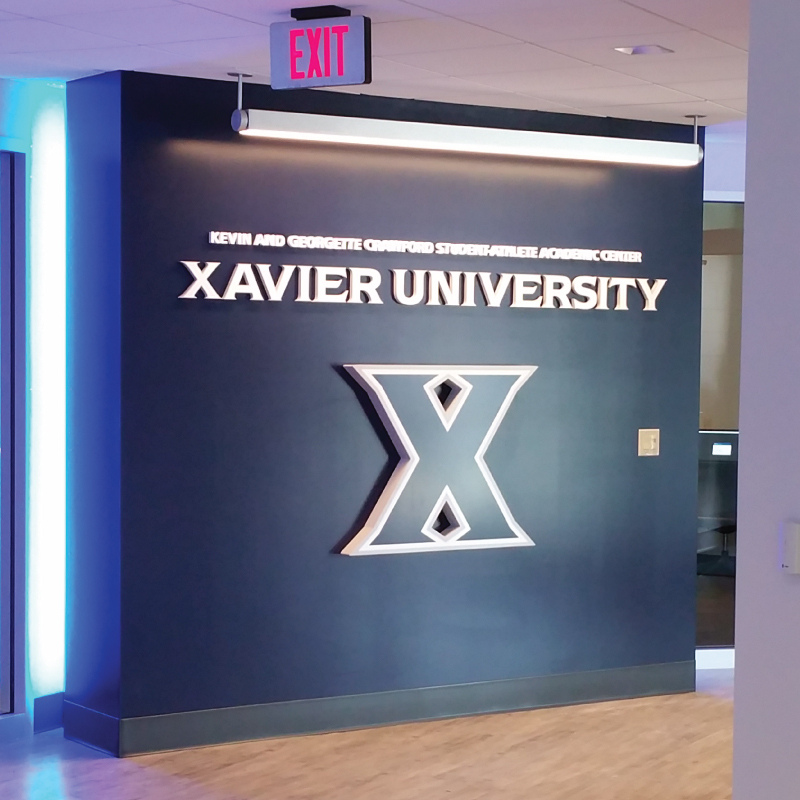 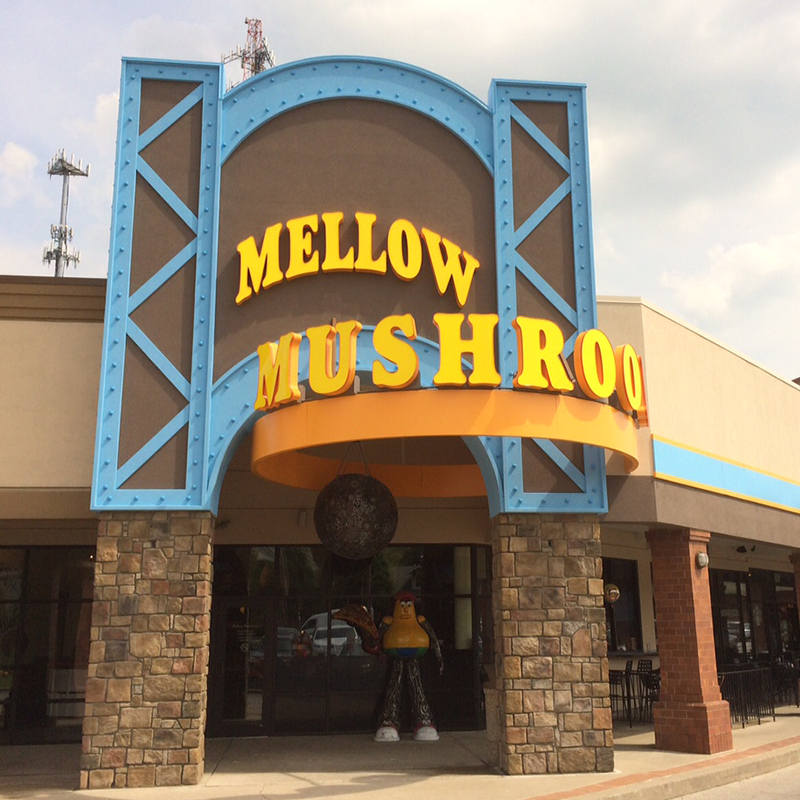 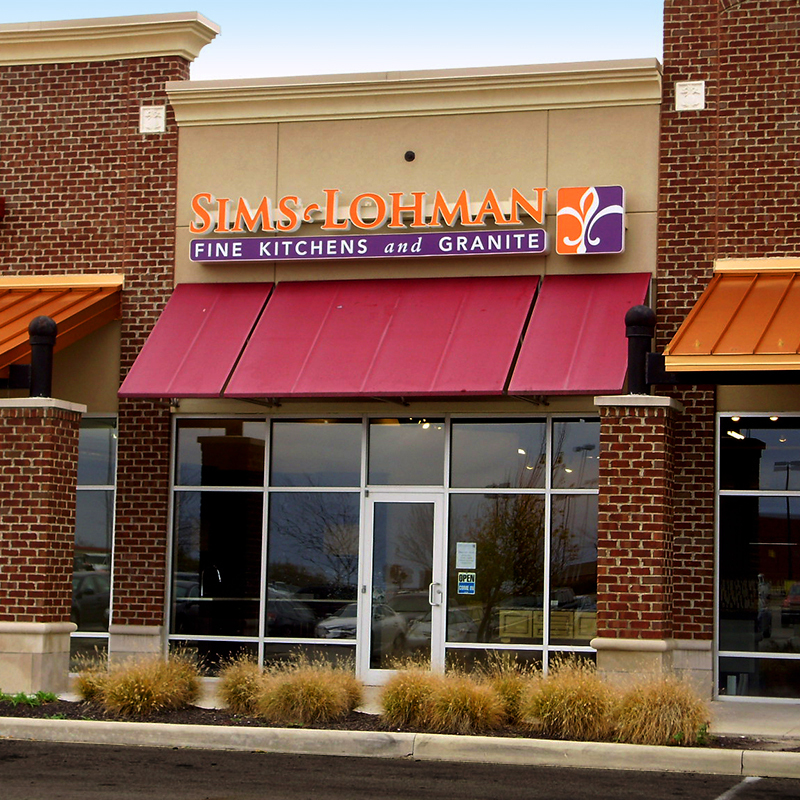 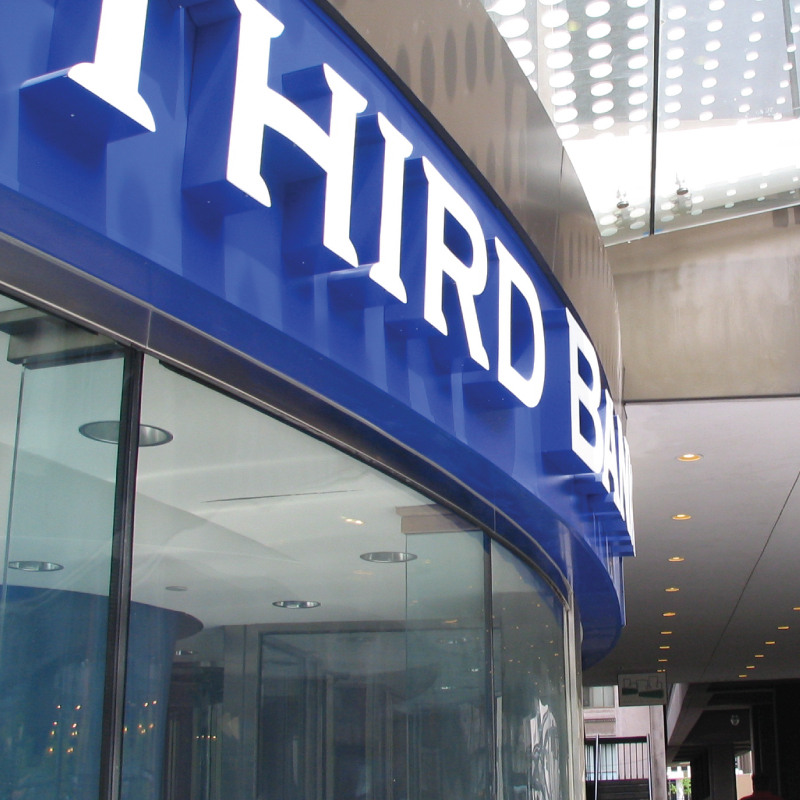 We coordinated with the architect, the builder and the City of Cincinnati to install the sign. 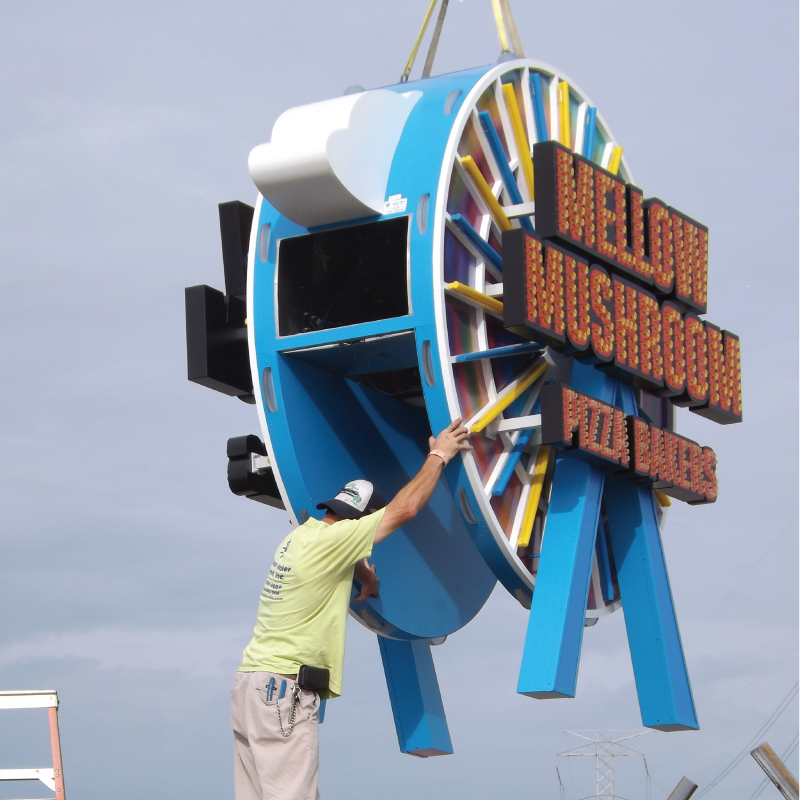 To do the job, we hoisted it up the side of the building in sections and assembled it in place.